ASA MARTIN. Old Time Picking & Singing. BACM CD 493. Fine acoustic hillbilly from the late 1920s to early ‘30s, featuring Asa Martin, Kentucky farmer and one of the early pioneers of recorded country music. 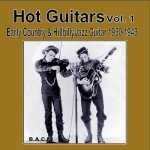 24 great recordings, mostly just Asa and guitar, accompanied by the legendary Doc Roberts on fiddle. Some awesome guitar/fiddle duets including Brickyard Joe (Fiddlin’ Doc Roberts, fiddle with Asa Martin, guitar, recorded 1928). 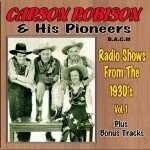 For our 6th Carson Robison collection, something different, five radio shows recorded in London in the 1930s with 31 songs wrapped around with the usual homespun chat and comedy from Carson and pals. 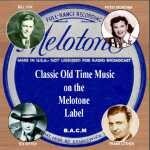 21 real Old Time songs recorded 1927/31, sung by Chubby self-accompanying on banjo, a classic restored from the Archive vaults and well deserving a listen. A selection of sentimental and sacred songs recorded 1936-54 from this four-piece harmony group. 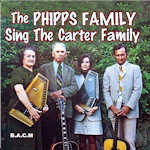 Led by David “Dad” Carter they were originally The Carter Quartet; the first 15 songs on this collection date from the late ‘30s, a mix of contemporary hillbilly and Cowboy songs, tight harmony singing, somewhat sweeter in sound than the ‘Other’ Carter Family, with mandolin and guitar accompaniment. The final nine tracks, all in the sacred/gospel genre, date from the early 1950s when they had deservedly become country music legends and gospel icons. Superb, easy listening. The 22 tracks here cover the complete 1920s recordings of these two groups and including some fine virtuoso fiddle playing from both. 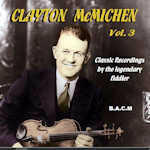 Interesting slice of early country history from this banjo player of high quality with a great voice and showmanship; 22 recordings mainly from the 1930s (one from 1925) in a variety of styles, four of them featuring Henry Whitter (see our collection on CD 348). Mixed bag from the versatile performer whose long career moved from 'classical' through hillbilly and eventually saw him become the biggest seller of recordings for children. 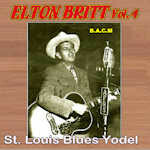 Here we feature early recordings from his 'Hillbilly" era, 1928/34 when he was a close collaborator with Carson Robison. 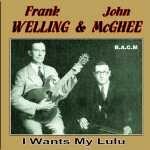 A fine rootsy old timey duo, Frank Welling on steel and guitar, John McGhee on harmonica and guitar, sentimental harmonies on a mix of religious and sentimental songs with a few humorous numbers for good measure. Recorded 1928-31, nice harmonies, style somewhat akin to but smoother than, Darby and Tarlton. Female voices on some tracks from either Welling’s wife or McGhee’s daughter. Legendary performer who lived his songs and wrote them. 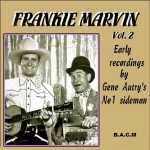 Fine versions, cowboy, comedy and sentimental songs performed in a stripped down style. 22 tracks, late 20s/early 30s. A treat for Old Timey fans – 24 historic tracks. 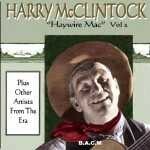 First, 12 great more Harry McClintock recordings, several of which became classics (The Texas Rangers, Jesse James, Goodbye Old Paint etc). 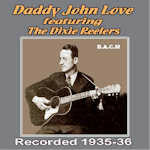 The remainder, an assortment of songs from the same era and similar genre by various artists including Bill Cox and Dwight Butcher. 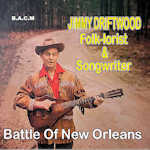 Wonderfully archaic selection of old time songs from 1923/28 by this pioneer of the harmonica/guitar combination including his influential "Wreck of the Southern Old '97". Brilliant old time harmony singing with guitar / mandolin from this fine Kentucky duo whose compositions were widely recorded including by the Everly Brothers whom they influenced. 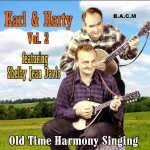 Fine harmony from this non-brother duo with a mixture of traditional mountain ballads and popular songs of the day. These 21 songs range from 1931 to 1945. Lots of enthusiasm for our first collection released in early 2011, so we’ve at last compiled a Volume 2, rarities, mainly from the late’40s (6 tracks released on ‘picture’ 78rpms) and early ‘50s. 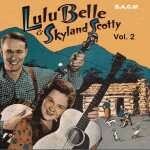 Nice Lulu Belle solo interpretation of Jimmie Rodgers’ Any Old Time. Big thanks to Al Turner for the tracks and Don Cusic for the insert notes. 1920s/30s influential duo (big influence on Monroe Bros, Blue Sky Boys), blind from birth, singing old time songs with mandolin and guitar accompaniment. 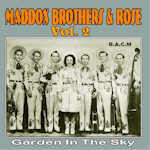 They were big influences on the Blue Sky Boys and the Monroes with their very early combination of guitar, mandolin and harmony singing; 22 songs recorded 1927-1944. Companion to CD 67. 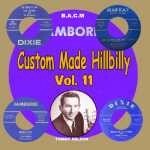 Our second collection from this superb family group who built a reputation as America’s most colourful hillbilly band and were hugely influential in multiple genres - country, rockabilly, and rock 'n' roll. Astonishing that they have still not been inducted in the Country Music Hall of Fame (or even the Rock & Roll Hall of Fame because of their influential ‘Roots of Rockabilly’ recordings!) 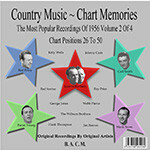 Nice selection of songs on the CD, mainly from their 4Star catalogue, late 1940s. 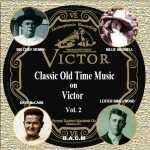 21 great early recordings of old traditional songs from 1927-30 from this group who made their Grand Ole Opry debut in 1927. 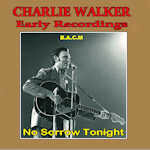 22 more songs (see BACM 040) from this legendary singer/guitarist. 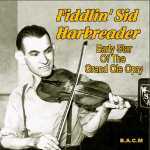 On several of these 1934-39 recordings he is accompanied by various old time bands/groups. 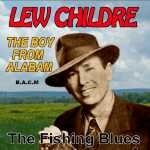 A legendary blind singer/ guitarist who began recording in the mid 1920s. 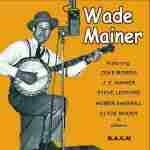 This CD holds a 21 track selection of his output from the 1920s to 1940s - featuring his famous bass runs. Definitive rendition of "I get The Blues when it rains". By popular demand, a third BACM compilation from this great blind musician, early country recording artiste with a hauntingly beautiful full baritone voice and delightful and influential guitar style featuring finger picks and heavy bass runs. 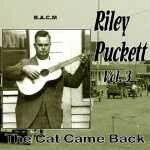 A nice selection of classic old timey and popular songs given the Puckett treatment. 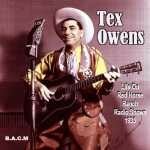 A collection of 1940s/50s recordings from "The King of the Grand Ole Opry". This companion volume to CD 10 finds the brothers in their heyday from 1935-47 with Old Timey and Swing styles in abundance. 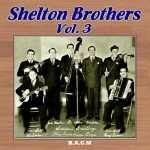 This third collection spans the Shelton Brothers entire recording career from their first sessions in 1935 through to their last - two tracks from a 1961 E.P. Over the years they progressed from a Southeastern-flavoured harmony duo with Bob (v. and guitar) and Joe (v. and mandolin) plus fiddler Curly Fox - to hot western swing, featuring some of the top musicians of the era. A really enjoyable hour’s listening, nice mix of styles and tempos. We are glad to have restored this great selection of music from several artists of Scandinavian descent recorded in the 1940s as radio transcriptions for KTSP Minnesota; nice mix, yodeling, polkas, cowboy ballads - 29 songs including several classics, first class country. Some brilliant but very rare tracks. 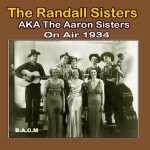 Complete released recordings by The three Williamsons, The Rambling Rangers, Ike Cargill and The Stalsby Family - from 1937, 1938, 1935 and 1940 respectively - authentic1935-1940 Country. 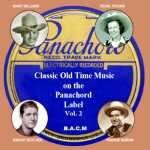 Excellent musicianship (two mandolins and guitar) and gentle harmony - old songs from the 30s including some comedy tracks. 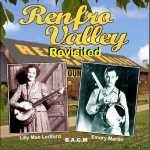 24 tracks from 1936/37, early roots recordings by one of the all time great country-banjo stylists, and featuring a variety of line ups including many of the top musicians of their era. Selection of great traditional songs many of which became country and bluegrass standards. Nice variety of styles and tempos. Thanks are due for the sleeve notes to musicians A.G. & Kate who worked alongside Wade on his 1983 tour of Holland..